Life on Earth has been evolving and interacting with the surface and atmosphere for almost four billion years. Fossils provide a powerful tool in the study of the Earth and its history. They also provide important data for evolutionary studies and contribute to our understanding of the extinction of organisms and the origins of modern biodiversity. Introduces the study of fossils in a simple and straightforward manner. 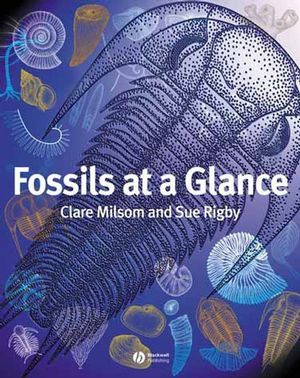 Short chapters introduce the main topics in the current study of fossils. invertebrates to vertebrates and plants, followed by a brief narrative of life on earth. Diagrams are central to the book and allow the reader to see most of the important data 'at a glance'. Each topic covers two pages and provides a self-contained suite of information or a starting point for future study. Clare Milsom is a Principal Lecturer in the School of Biological and Earth Sciences at Liverpool John Moores University, UK. She has a PhD from Liverpool University and her main research interests are in exceptionally preserved crinoids, functional morphology, and evolution. Sue Rigby is Director of Teaching in the School of Geosciences, University of Edinburgh, UK. She has a PhD from Cambridge and concentrates her research on the evolution of plankton and the functional morphology of graptolites. Both authors enjoy teaching and have substantial experience in presenting paleontology to earth science and biology students.